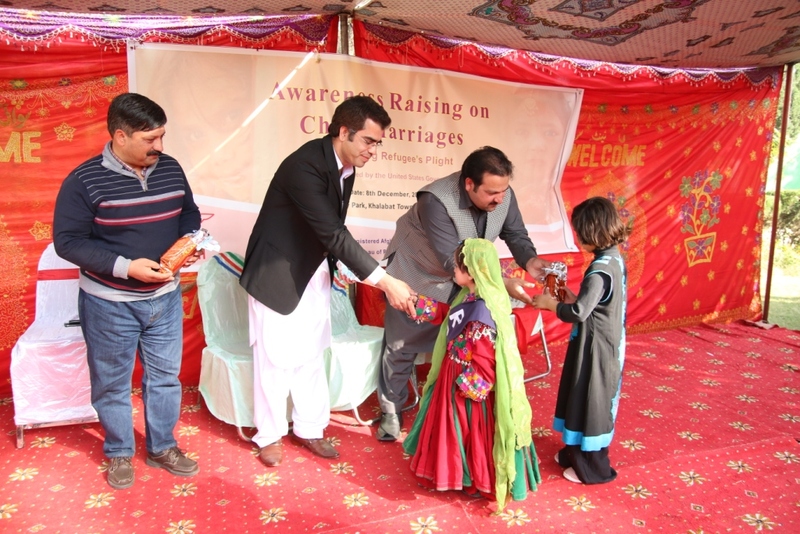 An awareness raising event on Child Marriages issue was held in Haripur on Monday December 08, 2014. The main purpose of the event was to spread an important message that child marriages are an issue of concern in the refugee communities. This important event was organized by SACH - Struggle for Change in Bureau of Population, Refugees and Migration. SACH is non-government nonprofit organization working to exterminate torture and violence from society and to protect marginalized communities. The organization is not only supporting Pakistani community, but also focuses closely on the refugee population. 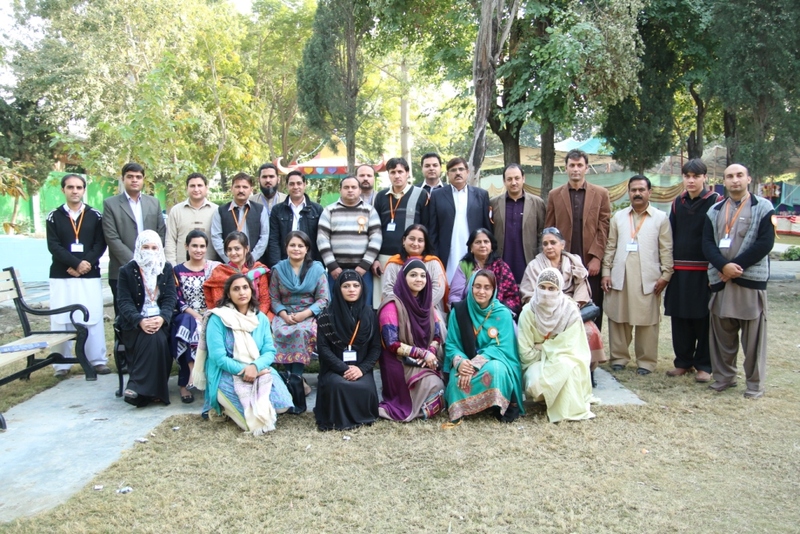 This awareness-raising session in Haripur was conducted in commemoration of UN’s 16 Days of Activism Campaign against Gender Based Violence. 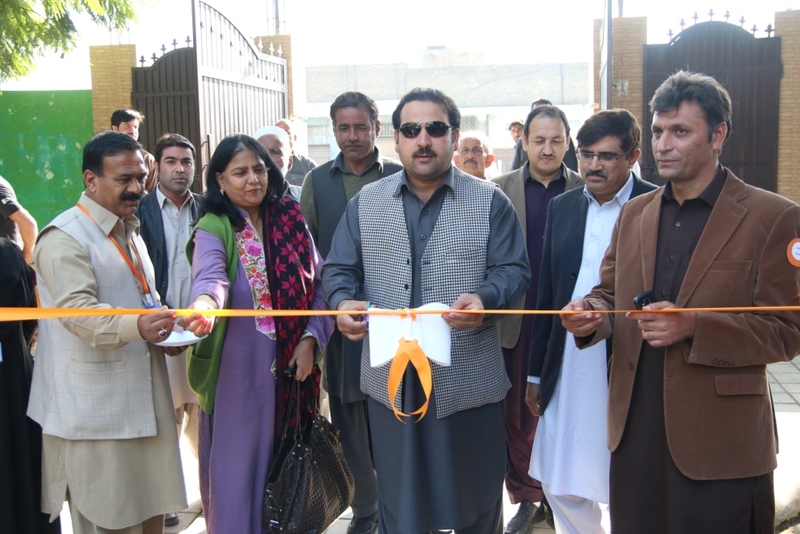 Mr. Gohar Nawaz Khan, Member Provincial Assembly KP was the chief guest at the occasion where as other dignitaries included DA CAR, EDO Health, EDO Education, DPO Haripur and DC Haripur. Nida Nauman from SACH shared in her welcome note the objectives of the session. She briefed that the purpose of the session was to draw public attention to the issue of child marriages, which is a breach of human rights due to the nature of child’s consent – or lack of consent to enter into such a relationship. 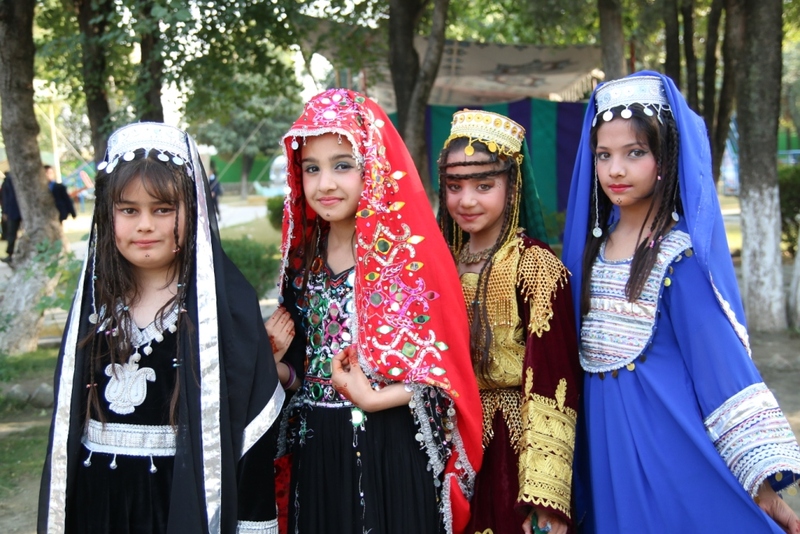 A significant number of students participated in the event from 07 schools, including 02 Afghan schools, who performed on their national songs, speeches and role-plays highlighting the issues related to the child marriage phenomenon and its effects. There was also a tableau performance by Afghan street children. 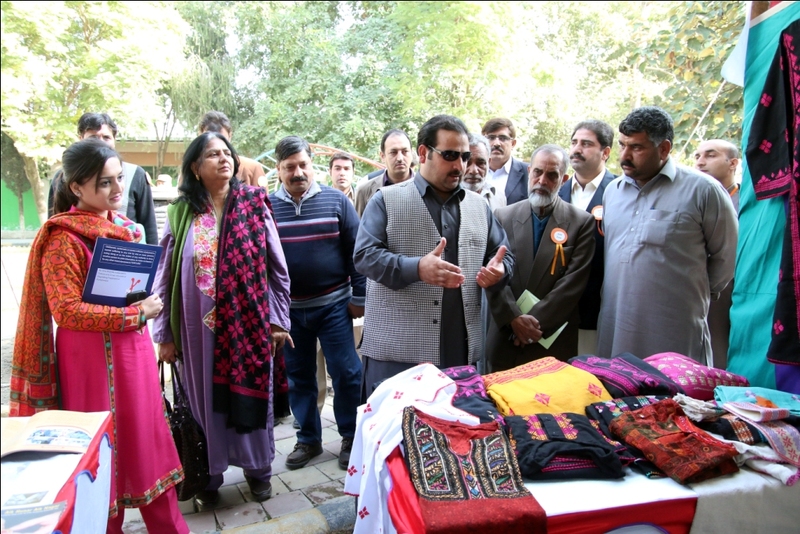 Various stalls depicting national / regional culture, food, arts and crafts were put up by students and the local community. 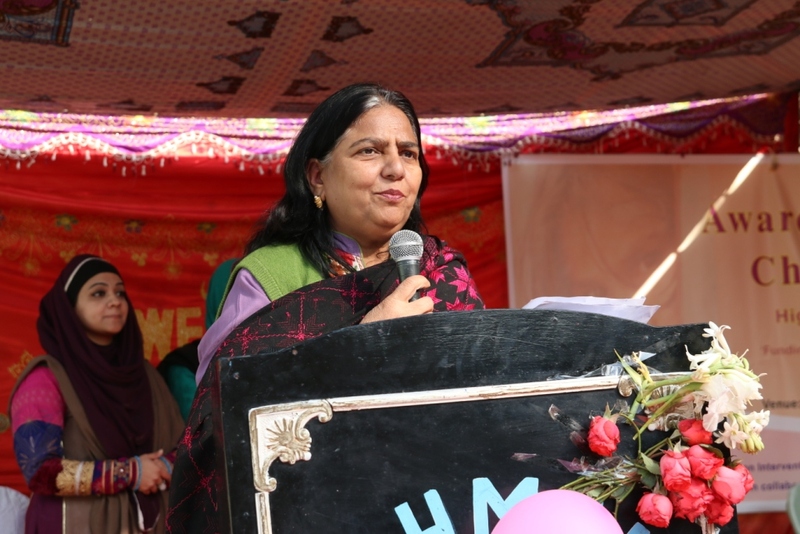 The distinguished Chief Guest inaugurated the event and highlighted that Child marriage denies a girl her right to education and leaves her far less capable to take advantage of economic opportunities. Mr. Wahid Gul Representative of PRM in his speech emphasized the commitment of PRM to the cause of refugee rights and its protection. While sharing their thoughts, they appreciated SACH’s efforts for raising the community’s awareness on the issue. The students were conferred with prizes and appreciation certificates for their involvement and inputs for the event. In her vote of thanks, Ms. Khalida Salimi, Executive Director of SACH shared that the organization has been working for the vulnerable communities including refugees living in Pakistan. She said that child marriage “often flies under the radar’ during emergencies because it is not caught in assessments and people move about making it difficult to judge how much it happens. Early/child marriage has become a coping mechanism in the difficult circumstances the refugees live in and in many societies it has been a cultural tradition, practice and security need.